inventory management software small business Mumbai, inventory management software windows, web based inventory management, web based inventory management india, web based inventory management Mumbai, web based inventory management system, web based inventory management system india, web based inventory management system Mumbai, web based inventory control software,inventory automation Mumbai, inventory applications, inventory applications india, inventory applications Mumbai, inventory management applications, inventory management applications india, inventory management applications Mumbai, inventory management software, inventory management software india, inventory management software Mumbai, inventory management software small business, inventory management software small business india. Masters Module has all Forms which work as Master Forms for the DreamSoft ERP. We believe in Masters and Transaction concept where in all Master Data is defined which are only selectable in Transaction Forms. This will eliminate repeated data entries for common data like Products, Clients, Suppliers, Country Names, and City Names etc. 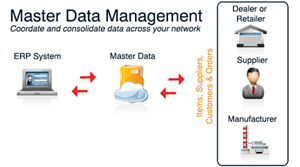 All Masters are mainly classified into Geographical Data, Initial Data, Product Data, and Store Data & Ledger. Terms & Conditions : All Terms & Conditions which are applied to various Sales & Purchase Forms such as Challan, Invoice, Purchase Order etc. are defined here. They can be defined for either Purchase or Sales or Purchase and Sales Dept. Multiple Terms & Conditions can be defined here. Tax Master : All Taxes which are applied on various Sales & Purchase Forms can be defined here along with the Tax Header and Percentage of the Tax Applicable and the Group/Individual Entry on which is it applicable. Tax Headers can be made from Masters>Ledger>Accounts by Selecting Taxes & Duty as Account Group. Book Master : This Form is for Creating Multiple Books of Accounts as per the Nature of Business. From Various Book types, Book Names can be given along with the Book Post, Party Post & Round up Account. Also Book Sequence can be defined here. All major Account Books will be created here and given to you. Agent Master : All Sales/Purchase Agents can be defined here in this form along with their information of Contact and PAN No. etc. Posting Account of Agent can be also selected. Also general Percentage (%) of Commission of the Agent can be given with his Details which will be applicable in all sales and purchases if selected. Here Client / Supplier wise Agent Percentage Broking Commission can also be defined which can be specific to them with different values. Staff Master : All Members of the Staff can be defined here along with Staff Type Selection. Transporter Master : All Transporters associated with Company can be defined here. Currency Master : All different Currencies along with their Conversion Value can be defined here. Only one currency will remain as Base Currency while operating the DreamSoft ERP Application. Product Category Master : All Product Categories can be defined here along with their Code and Description. Product Sub Category Master : All Product Sub Categories in various Categories can be defined here along with their Code and Description. Brand Master : All Product Brands can be defined here. Unit Master : All Product Units can be defined here. Product Master : All Purchase and Sales Products in the Company can be defined here. Selection of Category, Sub Category, Brand and Unit will be made under which the Product belongs. Product Type Selection will define whether Product will be Serial No. Related (Parts) or Batch No. Related. Inventory Related Fields like Min. Stock Quantity, Re Order Level, Max. Stock Quantity are given for Reports and Alerts. MRP Rate, Sales & Purchase Rates can be also defined. Selection can be made whether Product is Sales or Purchase or Both. Purchase and Sales Print will allow those Description of Products to be Printed in Challan, Invoice and Purchase Order Documents which are other then Product Name and User Defined. Product Classification can allow Product to be further classified in various Sizes. Products can be also De Activated using the Option so that they don't come up in Transactions in Drop Downs but remain in Database. Product Classification : We offer you Further 2 levels of Classifications to be defined as per your Requirements. 1- Define Classifications : Here Two Different Levels of Classifications can be defined like Classification 1 on Product Size and Classification 2 on Product Color. They are user Defined. Product Rate (Classification) : If user needs to define the Product Parameters like : Purchase Rate, Sales Rate, Minimum Qty, Max Qty, Re Order Level, MRP Rate etc. for many products at a time then he can do that by Searching Products on Category and Sub Category and do it from this form. Individual Product with various Classifications also can be given these parameters instantly. Product Rate (Branch) : If user needs to define the Product Parameters like : Purchase Rate, Sales Rate, Minimum Qty, Max Qty, Re Order Level, MRP Rate etc. for many products at a time With Respect to Branch that he is currently in, then he can do that by Searching Products on Category and Sub Category and do it from this form. Individual Product with various Classifications also can be given these parameters instantly. Such Parameters can be defined with respect to each branch in each Business Units. Product Rate (Chart) : If user needs to define the Product Parameters like : Purchase Rate, Sales Rate, Minimum Qty, Max Qty, Re Order Level, MRP Rate etc. for many products at a time ease of Data Entry then he can do so through this form. BOM (Bill of Material) : BOM will be defined which is nothing but a Menu with many Products associated with it so that for Manufacturing or Consumption, so many individual products need not be selected while in Transaction. Multiple Products can be added to a Defined BOM Name and it can be then used in Transaction. BOM's are defined as Manufacturing or Consumption – If a BOM is Manufacturing BOM then Company will have the Track of the Inventory given for Out Sourcing or else it will be a just Consumption BOM. Process Master : All Production Processes which are happening on Production Floor of the Company can be defined here along with their Process Name and Process Sequence No. Store Location : All different Stores where Products will be monitored for Inventory Purposes will be defined here. Stores can be Internal or External. External Stores are given link to Suppliers for tracking their Inventories of the Unfinished Goods which have been given to them as Outsourcing by the Company. Inventory will be tracked as per each Store Location whether Internal or External. Party Category : All Categories to be given to Clients / Suppliers are to be defined here. Many times, Company wants to Group their Clients/Suppliers in various Categories like Normal Clients, Star Clients, International Clients, Important Suppliers etc. This can be used to make such Categories. Client Master : Definition of Clients of Organization with their Name, Account Group which they belongs to, Party Category, Credit Limit, Credit Days, Billing Name (which can be used for Printing in case client wants), Transporter Associated, Client Company Registration Details, Client Bank Details, Multiple Contact Addresses along with Multiple Contact Persons can also be saved. Active / Deactive Status of the Client is also given in the Form. Different Images like Certificates can be uploaded on to the ERP along with various Documents related to client can also be uploaded using the given utilities. Supplier Master : Definition of Suppliers of Organization with their Name, Account Group which they belongs to, Party Category, Credit Limit, Credit Days, Billing Name (which can be used for Printing in case Supplier wants), Transporter Associated, Supplier Company Registration Details, Supplier Bank Details, Multiple Contact Addresses along with Multiple Contact Persons can also be saved. Active / Deactive Status of the Client is also given in the Form. Accounts : All Bank Accounts of the Company will be defined here. Their Relation with Account Group and Bank Contact details can be defined. Alias feature allows the user to use different name for printing purposes. Account Groups : All Accounting Groups like Liabilities, Assets, Income (Trading), Income (P/L), Expenditure(Trading), Expenditure(P/L) etc. along with their tree structured Sub Groups and their Sub Sub Groups can be defined with complete user friendly Tree Structure. Product Rate Contract : If in a Company, Supplier / Client offering Product at a Fixed Rate then that Rate with respect to Products can be defined here in following forms. Also Discounts can be given in a easy to use way.